Local Bail Bondsman New York City: What Makes a Good One? What Makes a Good Bail Bondsman? Your head is spinning when you get the call that a loved one is in jail. You’ve never worked with a local bail bondsman, let alone even understand how posting bail works. With all the uncertainty involved, it’s imperative to hire a bail bondsman who will do more than the bare minimum. There are plenty of bail bond companies out there, however, which qualities should you look for most? We will discuss all that and more in this post. Sound knowledge – It does you no good to hire a bail bondsman who has little idea what they’re doing. Keep in mind that every bail situation is unique and there’s no one-size-fits-all approach. 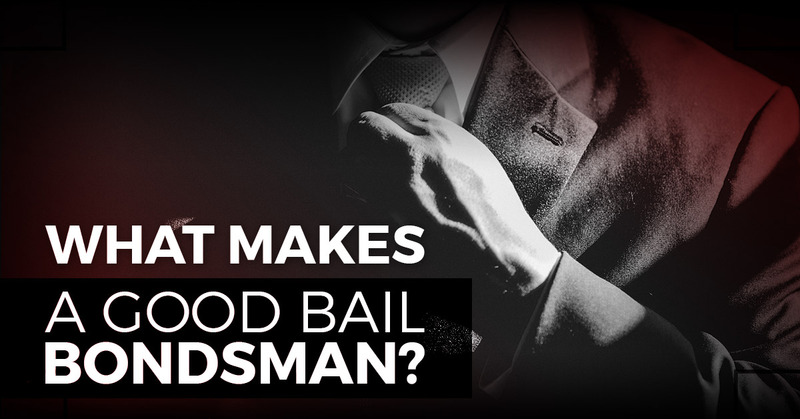 A knowledgeable New York City bondsman should be aware of how the bail and jail system works. They should also be well-versed in the necessary paperwork and steps needed to be taken prior to the release of the defendant. It doesn’t hurt, either, to understand applicable laws, property regulations, insurance policies, and collateral. Good reputation – What sets ABC Bail Bonds apart from the rest? Clients appreciate our willingness to help and answer any questions they may have about the bail process. We don’t just simply rush through everything and treat you as a number. If you happen to get in touch with a bail bondsman who is rude or disrespectful, it’s best to hang up the phone before things become even more complicated. Experienced – There are some industries where it’s best to side with a veteran as opposed to a rookie. The bail bondsman profession is one of these. In order to get your loved one out of jail as quickly and efficiently as possible, hiring a seasoned agency is a must. With 50 years of experience in the area, our licensed staff ensures the highest quality service. Concern for clients – A number of bondsmen get by without showing any concern for their clients. That’s not how we handle business, though. We understand that this is a stressful, traumatic time for you and your family. We go above and beyond in providing the most up-to-date information to help the process run smoothly. ABC Bail Bonds believes that every person should have the chance to get help, which is why we’re here for you. Best of all, we offer easy payment plans. Availability – People aren’t always booked into jail during normal business hours. A reliable bail agent can be reached 24/7 and provide top-notch service at any time. Rest assured that ABC Bail Bonds is here to help you day or night. If you find yourself needing to bail a loved one out of jail, don’t make matters worse by hiring a sub par bail bond company. Instead, choose ABC Bail Bonds.